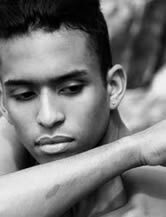 Alex Anderson has been dancing since the age of 12 and throughout his years of experience has worked with many well known choreographers who’s work has been presented in companies such as Boston Ballet, The Joffery Ballet, Hubbard Street 2, Alvin Ailey American Dance Theater, Ballet British Columbia and many more. In the fall, Alex will be continuing his professional training as a 2nd year student at The Juilliard School in the class of 2014. In December of 2010, Alex received Choreographic Honors for a piece he created entitled “Unresolved” and was featured on Juilliard’s very own Peter Jay Sharp Theater along with 6 other student works. Alex has recently worked professionally with a newly developed dance company entitled the Lunge Dance Collective under the ownership of Billy Bell (seen on the TV series So You Think You Can Dance). After receiving his B.F.A. in dance, he will officially be emerging into the entertainment work force. He wishes to follow his dream of becoming a professional dancer and choreographer.